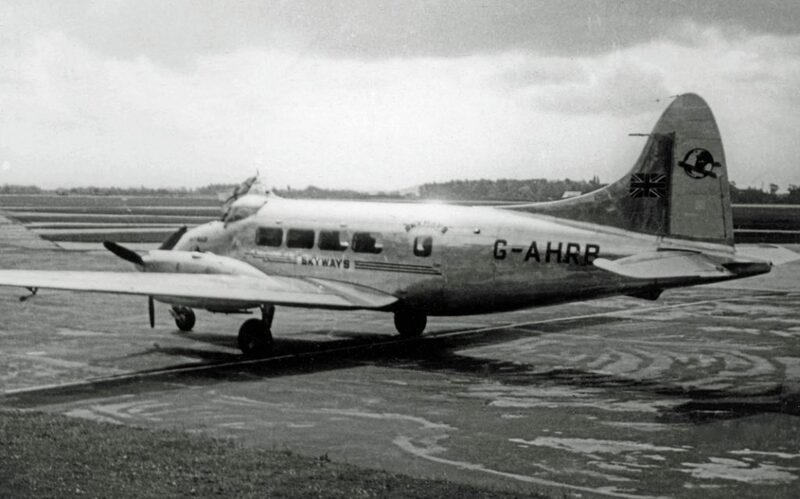 In August 1946, the Dunsfold Aerodrome was leased to air charter company Skyways Ltd, who used it as their main operating base. 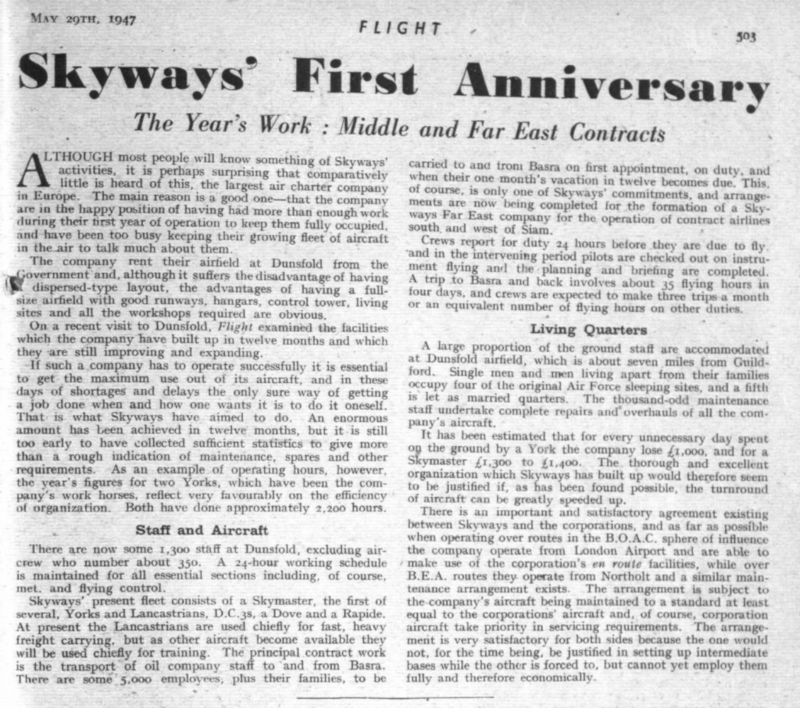 By 1947, Skyways was reported to be the largest air charter company in Europe. 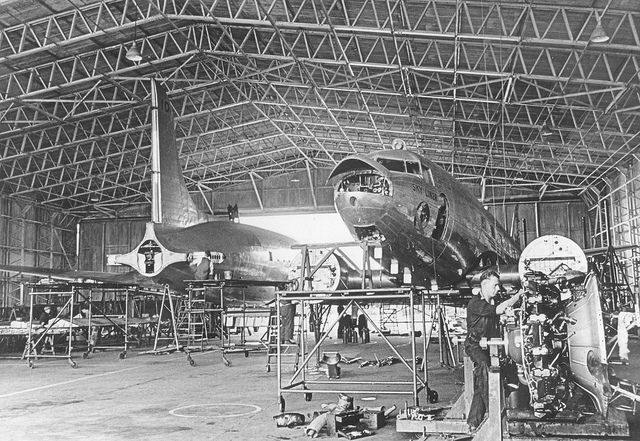 It employed “1,300 staff at Dunsfold”, mostly involved in maintaining the aircraft. 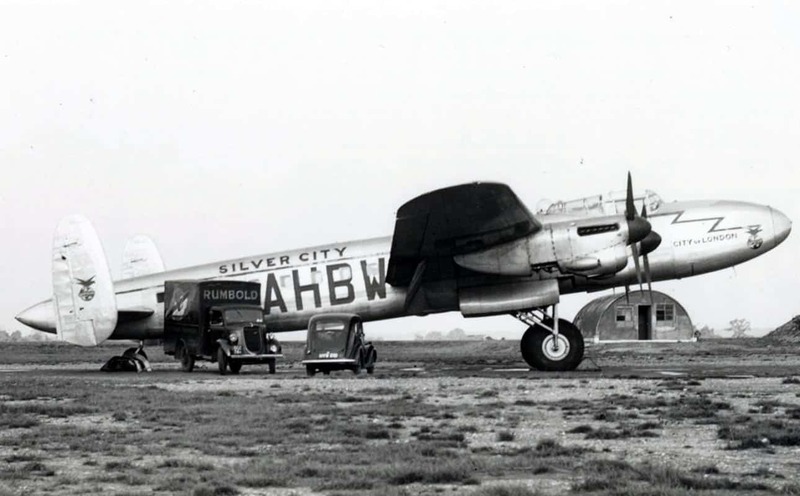 “A large proportion” were accommodated on the aerodrome which operated 24 hours a day. In addition, there were about 350 aircrew. Its principal contract work was to transport oil company staff to and from Basra. A trip to Basra and back then took about 35 flying hours over our days. 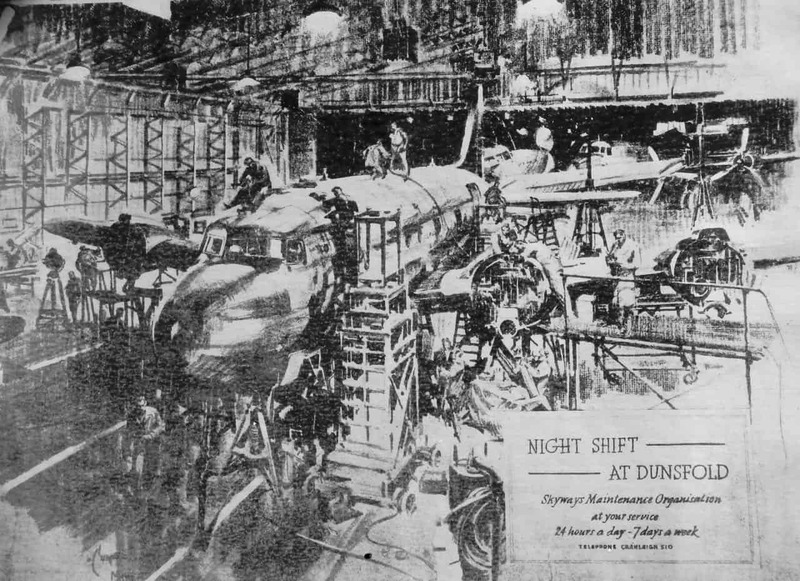 We found three drawings recording the Skyways operation at Dunsfold by Terence Cuneo, famous for putting a mouse into his work. Immediately after World War II, both Germany and its capital Berlin were divided: West Germany and West Berlin (under Britain, France and the USA); East Germany and East Berlin under the Russians (strictly, the USSR). In June 1948, the Russians in effect put West Berlin under siege, cutting off its supply routes. All supplies – from milk to coal – then had to be flown in. 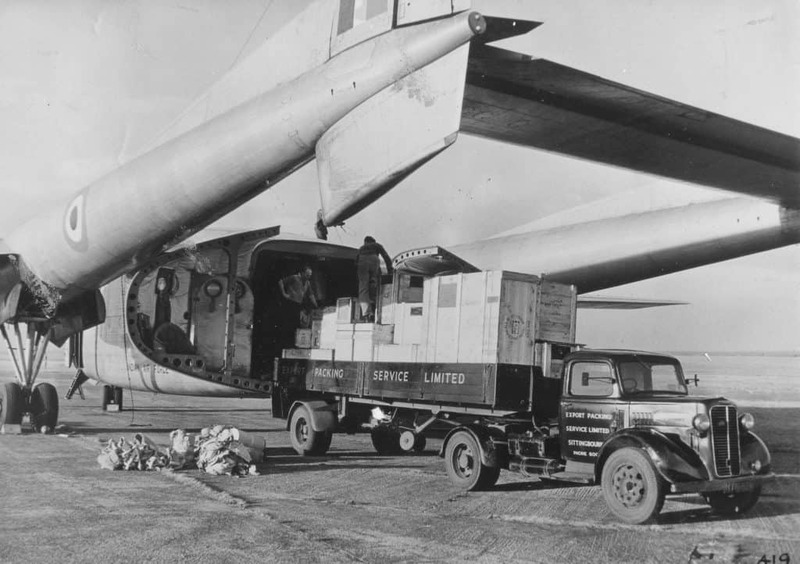 The blockade lasted until May 1949 and supplies continued to be flown in until a good stock was established in September 1949. Preserving West Berlin was seen as essential to the future of West Germany and indeed, Western Europe. 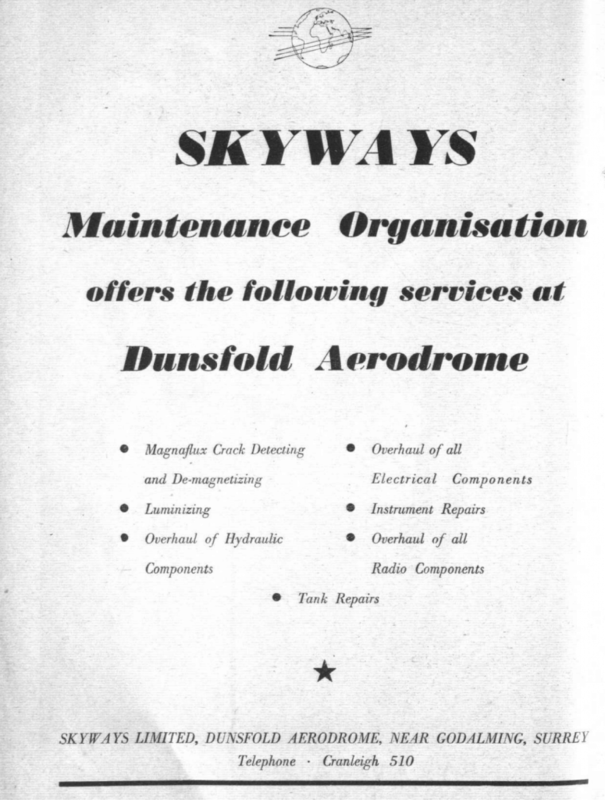 Skyways was ideally placed to play an important role in relieving the blockade of West Berlin by supplying and maintaining planes and at the height of the Berlin Airlift, there were 1,200 employed at Dunsfold. 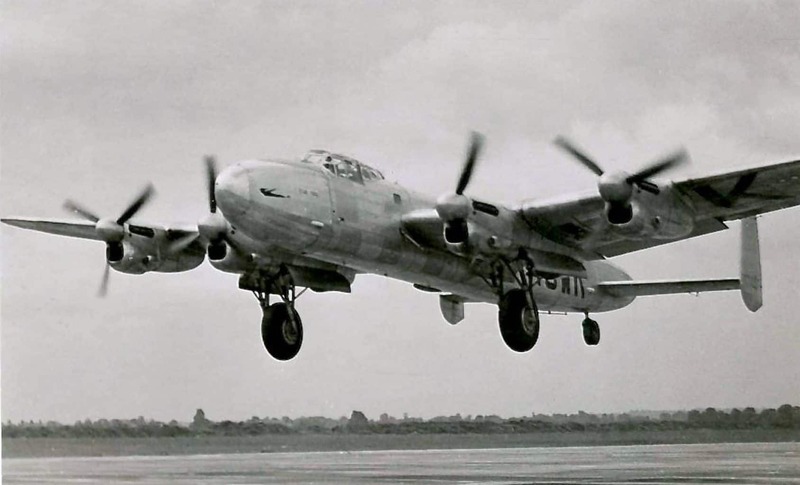 The company was flying eight Yorks and Lancastrians. 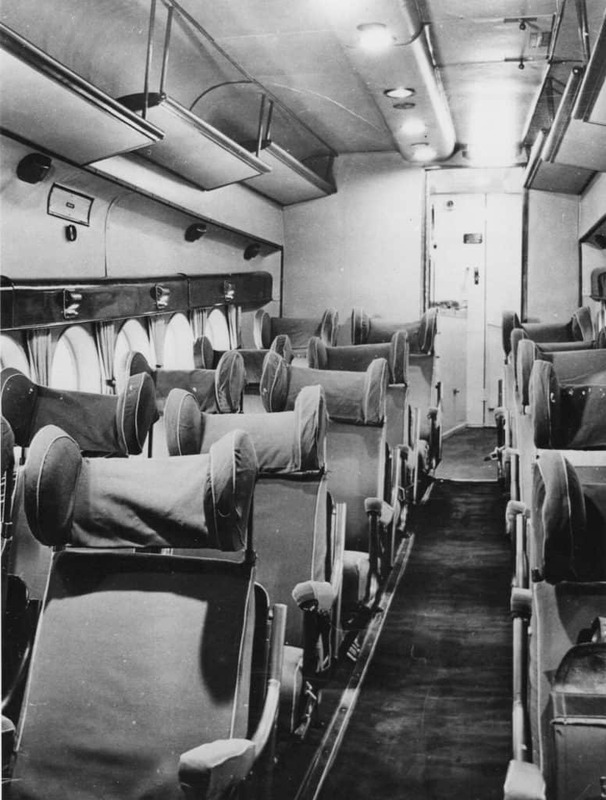 By then, the civil Air Lift had made 21,785 flights to Berlin, of which Skyways made 2,730. 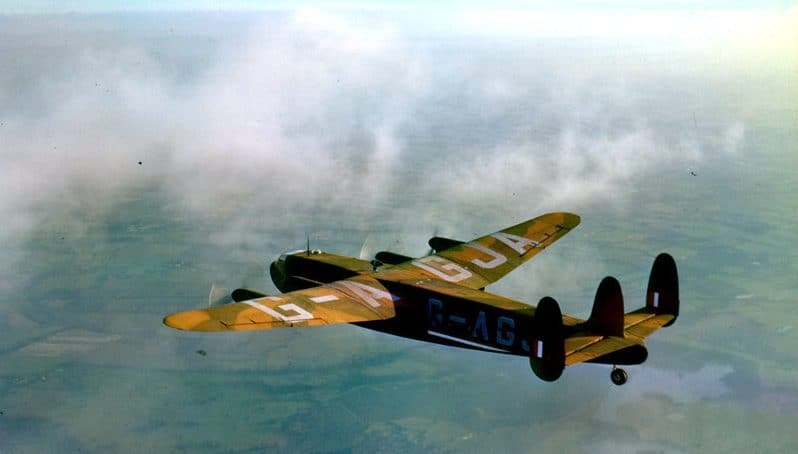 One of the pilots, D.M Evans, was awarded an MBE for his work. 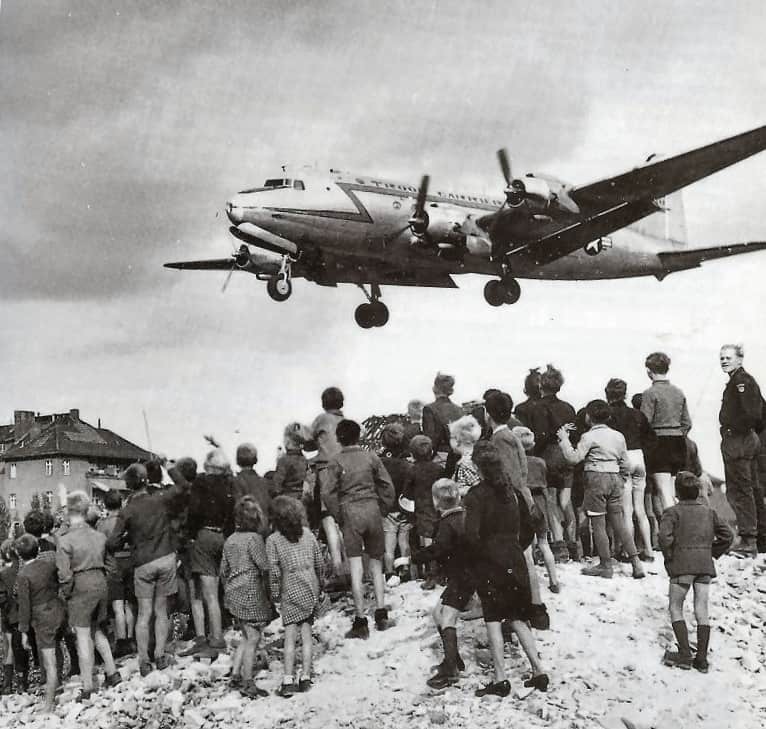 Skyways lost one of its aircraft and its crew in a crash on the Berlin Airlift, the crew are commemorated on the Airlift memorial at the former Tempelhof Airport in Berlin. 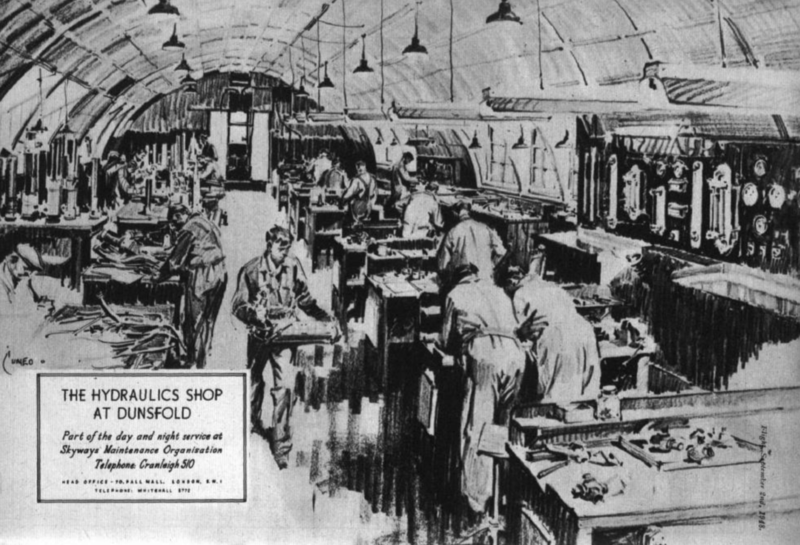 After the Airlift ended in summer 1949, 400 employees were made redundant from Dunsfold. 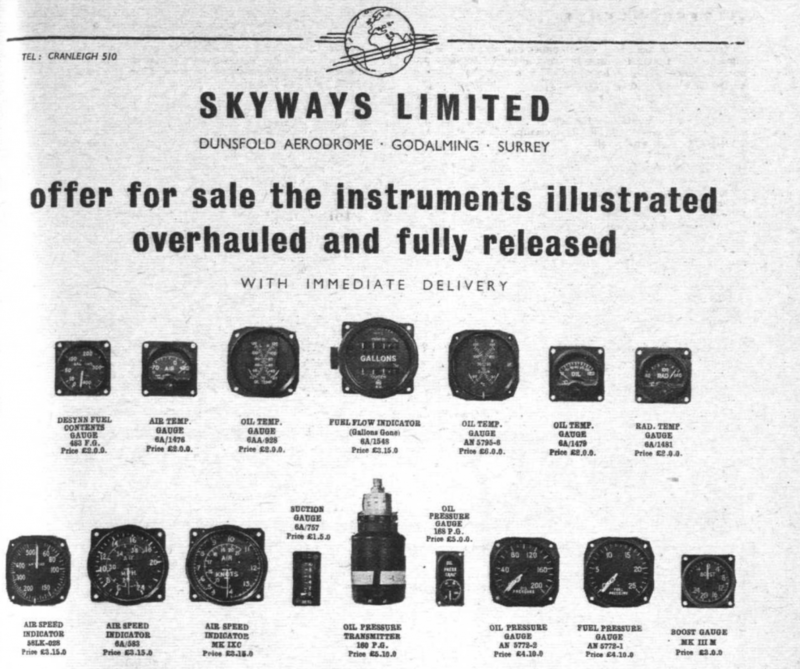 Due to the loss of aircraft and business, Skyways went into liquidation in March 1950. This is just the beginning of our new DAHS website, and time restricts how much information we can add initially. We hope to widen the scope of this website and we actively encourage visitors to contribute information, photographs, anecdotes and data that can add to the wealth of information about these important subjects. Please do post a comment on what you see here, or if we have made errors in our published material… we will be most happy to correct. 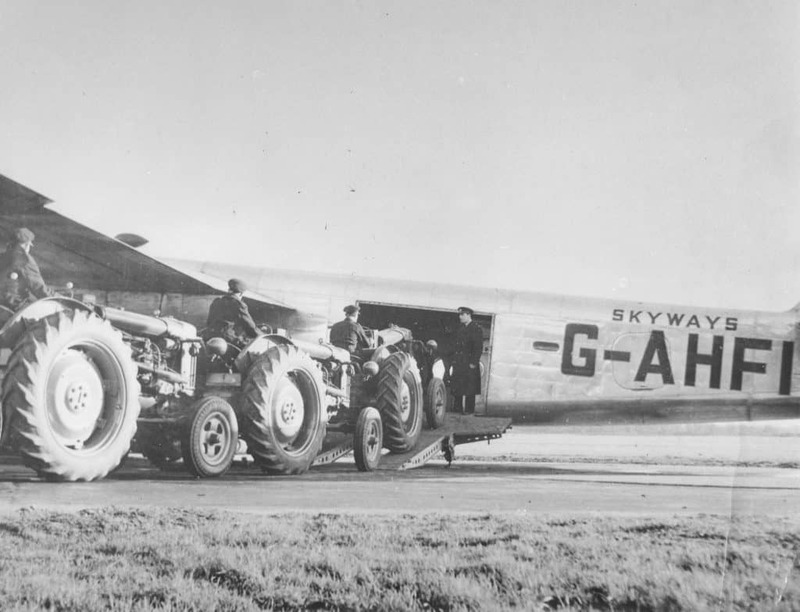 If you have first hand knowledge of the Skyways era or were one of the 1000’s of people involved in the Berlin Airlift, then we’d like to hear from you. We at DAHS received this – can anyone help with the query? I am an Argentine aviation historian. On September 5, 1948 Douglas DC-4 LV-ABP belonging to Argentine airline F.A.M.A. 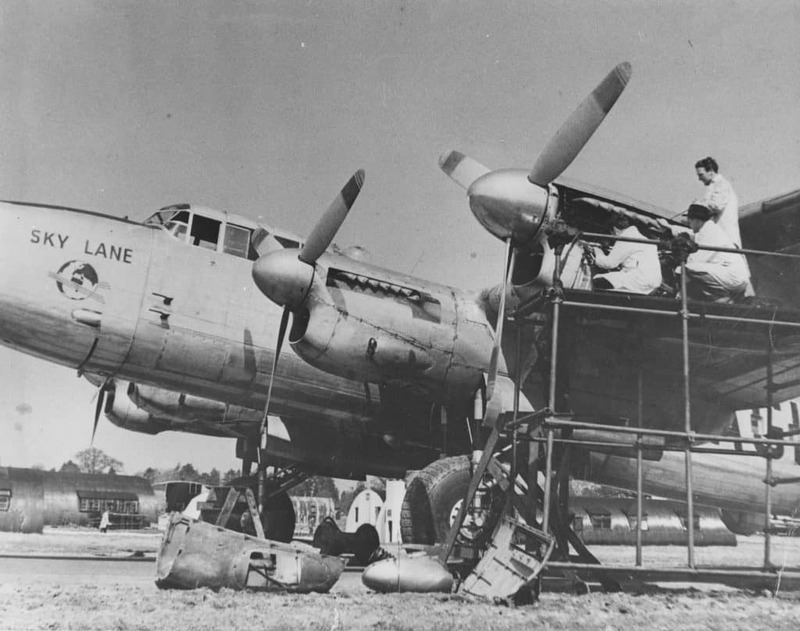 was damaged in a fire in Skyways’ hangar at Dunsfold. It was sold damaged and the repaired an resold to Trans Australia Airways. Can you provide any information on the circumstances of this fire ? 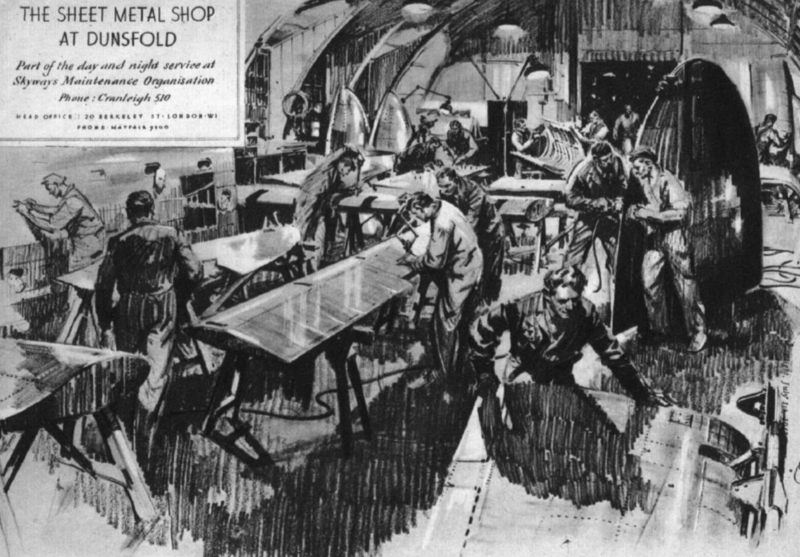 one thing maybe worth mentioning re the last picture is that museums are EXTREMELY wary of aircraft instruments and generally won’t accept them because of the Radium used on the needles for illumination in the dark; it’s very nasty stuff especially if it’s disturbed and inhaled. When museums display such things they are behind suitable transparent shields due to Health & Safety rules.